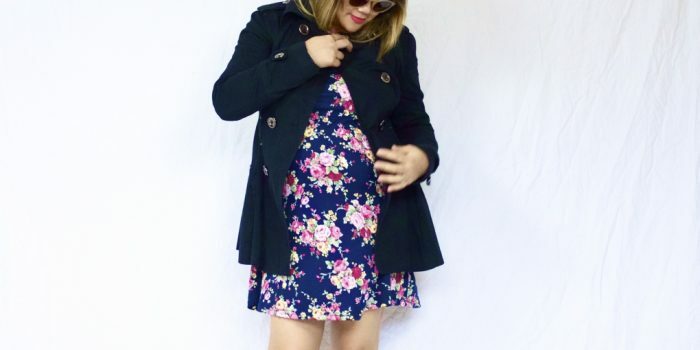 *I usually share outfits that emphasize flattering an apple shape, but while I’m pregnant, I’ll be featuring maternity outfits and sharing pregnancy tips. I’ve admitted that this second pregnancy has been so much more difficult than my first pregnancy. I’m at almost 24 weeks and food doesn’t sound appealing. I was thankful my nausea went away, but sad my regular foodie appetite didn’t come back with it. My energy levels are better, but I’ll never be happy when anyone else takes a picture of my puffy, swollen face. My fingers are also getting swollen, but I’m still refusing to give up my wedding ring. Moving slower through life during this time has always been difficult for my get the list done mentality. So, this list is for me as much as it is for anyone else reading this. It’s a good reminder of how we need to cut ourselves some slack. 1. Don’t feel guilty or surprised when you want and need to take a nap every day, even beyond getting a full night’s rest. Yesterday I slept a total of 10 hours and 21 minutes between nighttime sleep and my nap! It’s easy for me to feel guilty about this sort of thing, but I have to remind myself that my full time job is creating and nurturing a person in my body. Part of nurturing and creating this little one is getting plenty of sleep. Listen to your body and if you can, give it the rest it wants. 2. This is the time to spoil yourself. Of all the pregnancy tips, this is my favorite one. When I’m feeling energetic and getting my list done and accomplishing things like a boss when I’m not pregnant, I don’t like to spend a lot on clothes and extra treatments. It’s now that I feel not so pretty, super bloated, tired, and have to deal with hip pain, swelling in my face and hands, headaches from sleeping weird on my side, moving from place to place extra slow with a waddle, and feeling sore in my legs for no good reason– this is when it’s time to get spoiled. Get acupuncture for the nausea. Get chiropractic services for your headaches. Get regular pedicures since you can’t reach your feet anyways. Get prenatal massages and foot massages. You deserve it. You are creating a human. 3. If you’re feeling extra fatigued and tired, opt for green tea instead of coffee and decaf. I wrote about this here! Game changing. Also my friend just introduced me to an even yummier green tea: it’s roasted! 4. Invest in a maternity pillow after 20 weeks. Why after 20 weeks? Because after 20 weeks it’s unsafe to lay on your back or belly. A maternity pillow will save you from unnecessary hip and back pain that comes with sleeping on your side unsupported. I love this one because it has a washable cover, is super long on both sides and symmetrical so you can go back and forth from side to side all night and get the exact same support (unless your husband or partner decides to take over one side! It happens to me). 5. Even if you don’t feel like it, don’t give up on exercising regularly. 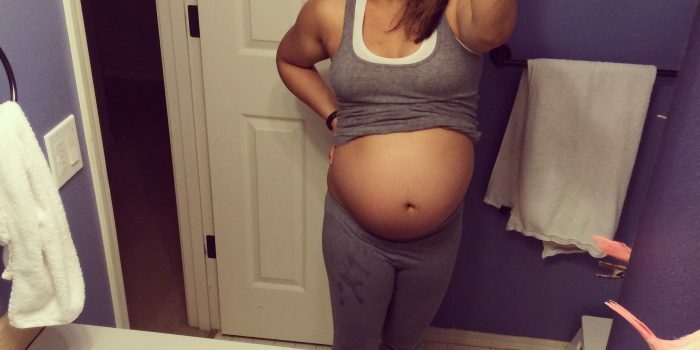 Let me tell you, there is hardly a day where I feel like exercising in this pregnancy. That’s where it helps to do some adulting and not wait for a feeling. I just do it because I know it’s good for my body, my baby, my health, my mood, and studies show that maintaining regular exercise during pregnancy helps you bounce back to your pre-pregnancy body faster. I like to do 40 minutes most days of the week, but I keep my exercises easy and low impact, swimming the breaststroke and doing laps in the pool, walking for 40 minutes around the neighborhood, doing low impact cardio and strength Youtube videos, or catching up on my Hulu and Netflix shows while I do the elliptical. During pregnancy focus on consistency and not intensity. 6. Get out of your pajamas. Wash and do your hair. Take a shower. Get out of the house. See some friends. It’s soooooo tempting to lounge around the house lazily and there’s nothing wrong with doing that once in a while, but I know I feel better actually showering and getting ready for my day, wearing real clothes even if it’s just a stretchy long dress or maternity leggings and yoga pants. You feel better getting out of the house and meeting with friends and doing your best to seize the day. And if you get worn out, come home in the afternoon and take a nap! 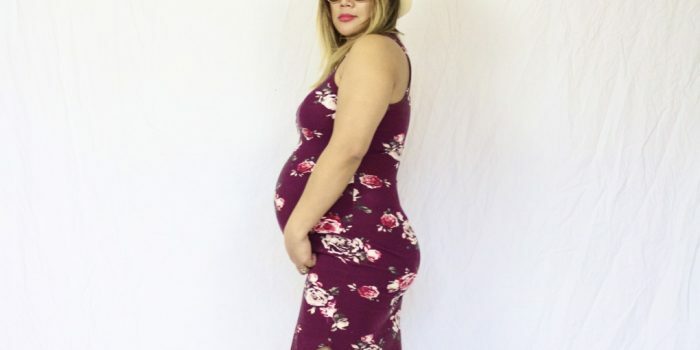 Those are a few pregnancy tips that have helped me so far. Hope they help! Do you have any pregnancy tips that have been game changing for you? 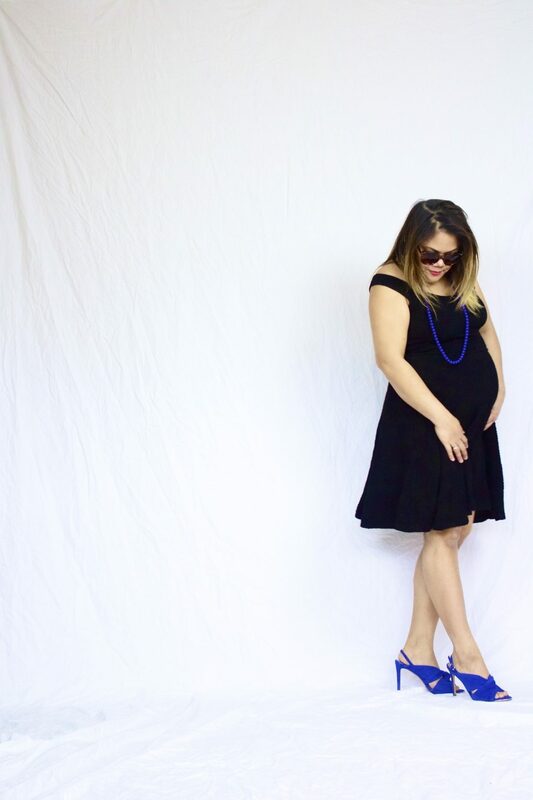 So many cute off the shoulder black maternity dress options! 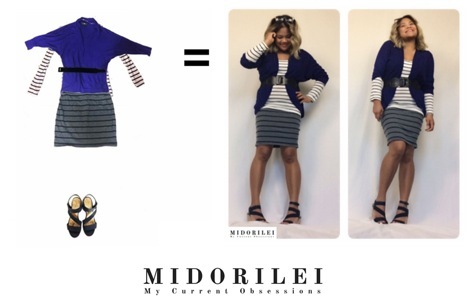 This blue statement necklace with three layers would look lovely with an all black outfit. Tortoise shell sunglasses go with everything.